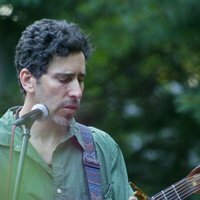 Robert K. Wolf - With his engaging, versatile, and inimitable Americana style, Robert K. Wolf has garnered attention from listeners, performers, and industry peers alike. He is not quite satisfied with coma inducing singing and songwriting blandness. He's living proof that an overweight, Jewish guy born in Brooklyn, NY can sort of do okay in the buckle of The Bible Belt. Seth Davis’s fearlessly melodic, painfully pretty songs don’t rock. They rain. Storms of harmony, lyrical stilettos, and ambient rainbows of despair. This song responds to a childhood of religious ambiguity and the pursuit of unaffiliated virtue. Nick Bukuvalas - A former member of the beloved Jersey shore band, Shorty Long and The Jersey Horns, Nick Bukuvalas is a singer/songwriter/musician who’s, brand new Christmas single, Give Me All Your Love (At Christmas Time), has the potential of becoming the next classic Christmas song! * A portion of the proceeds go to The Children’s Specialized Hospital, Mountainside NJ, which serves children affected by brain injury, spinal cord dysfunction and injury, premature birth, autism, developmental delays, and life-changing illnesses. Nick volunteers his musical services for the hospital and is helping to raise money by donating a portion of the CD sales of his new Christmas single, Give Me All Your Love (At Christmas Time). Nicole Kehl is an Artist and Musician who is currently touring the world as Rihanna’s backup singer. She is in love with Christmas and made it a goal to record her own holiday album. Mission accomplished. 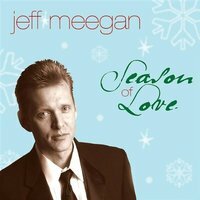 Hope you enjoy these heartfelt Christmas songs. Fern - Created on the synthesizer with bells mixed in, children and adults alike find themselves at the North Pole in Santa’s workshop watching the reindeer prepare for their flight ‘round the world on Christmas Eve. This song tickles the imagination and puts a creative twist to Santa’s reindeer! Did you ever wonder what Santa’s reindeer do before their big trip? The Locals - Let’s just get this straight, The Heat Miser and Snow Miser are the very best holiday characters around. 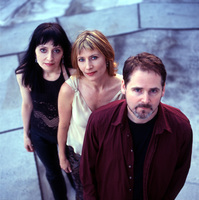 The Locals recorded their punk-pop version of “Heat Miser” (From the Year Without a Santa Claus), in 2009, as a result of lead singer, Yvonne Doll’s fanatical love of the quirky, claymation retro holiday classic. Joe and the Jungle - Joe and the Jungle, the first band to move inside and reside physically inside the actual Internet (88 Doyle st., Google Country, Internet) embodies a unique blend of rock music, grabbing a driving hard rock style and intertwining it with they type of beautiful melodies and songwriting prowess of the 1960's and 70's. The songs vary in mood, yet share a common bond of structure and catchy hooks, assaulting the boundaries of the modern rock genre from the very start with their critically praised debut album "Broken Amps and Fuzz Boxes," which has sold over 19,000 copies to date independently through touring, live shows, and online sales to their registered fan base of over 160,000 and counting. as a "kinder, gentler Heart," creating a vocal blend so seamless that you might think they were sisters. Adler's third-part underpinning completes the transcendent vocal sound that has always been a band trademark. Their music has been featured widely in film and television, and they enjoy a devoted following around the world. They are currently in the studio working on a new full-length recording, planned for release in 2012. 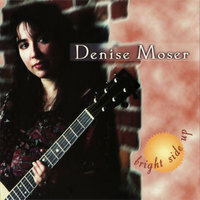 Denise Moser - Denise has the unique gift of being both achingly insightful and poignantly clever. Her expressive voice is lovely, rich and tender. This powerful debut album is filled with songs that come from, and aim for, the heart. “ It’s a New Year’s Day” is a clever look at the way New Year’s is seen and celebrated, and the hopes and clean-slate feeling it evokes. The Energy Commission - The same band that brought you the wildly popular Modern Warfare inspired music video that has garnered nearly half a million You Tube views is back at it with a Santa Baby Parody - "Call of Duty Christmas". The Energy Commission's sultry Danielle Cales figured "If you can't beat em' join em'!". It was all fun and games till they had a run in with the law while filming a scene for the music video. A camouflaged Santa; handcuffed, face down in the dirt, with 25 loaded guns pointed at his head, was way more than she bargained for! 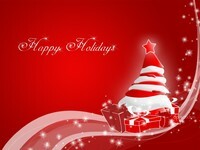 Hope you've been good this year or you might get a frag dropped in your stocking! Miriam Lieberman - Bamako is an upbeat song with an infectious West African rhythm about the people of the Malian capital getting ready for a big new years eve party. It’s a story about those that are economically poor but culturally rich. It tells that friendship and time are lifes true value. Miriam Lieberman wrote it on new years day after a party in Bamako just like the one described in the song. It was recorded with local Malian musicians including members of Toumani Diabate’s Symmetric orchestra as well as musicians of Miriam’s local town – Sydney Australia.